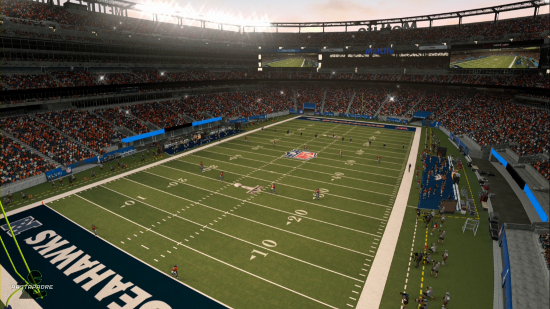 T.J. Lauerman of ThatSportsGamer (Twitter – Website) recently joined me to play through a Super Bowl XLVIII matchup in Madden NFL 25 on PS4. Check out the video below along with our discussion during the game which unfortunately had to be played in Denver given the inability to play online in a neutral stadium or with Super Bowl presentation. Later this week look for a Super Bowl preview podcast with myself, Rich Grisham, and Gus Ramsey of ESPN!